CLA president Ross Murray said landowners could solve the housing crisis if they were offered more incentives. Landowners should be encouraged to build and manage their own affordable housing in the countryside to help solve the housing crisis. This was the message from CLA president Ross Murray in advance of the National Housing Federation conference later today (September 22) where he will share the stage with HRH Princess Anne after she delivers a speech on affordable rural homes. Mr Murray said landowners were keen to build and manage their own affordable housing and were best placed to deliver affordable housing because of their economic role in the community. He however said more should be done to encourage the management of these sites as there were ‘not enough incentives’. He said: “The capacity of landowners to help alleviate the acute shortage in homes in rural areas is an untapped resource. “Landowners have strong multi-generational ties to their communities and are often local employers, they wish to sustain that community for future generations, and long-term investment in affordable housing is an excellent way of doing this. Mr Murray added that high house prices in rural areas have a significant impact on the rural economy. He said: “Job creation is stifled, perpetuating low wages because young people cannot afford to live and work in the countryside. “We do not want to build all over our beautiful countryside but we want to see incremental growth in existing villages. 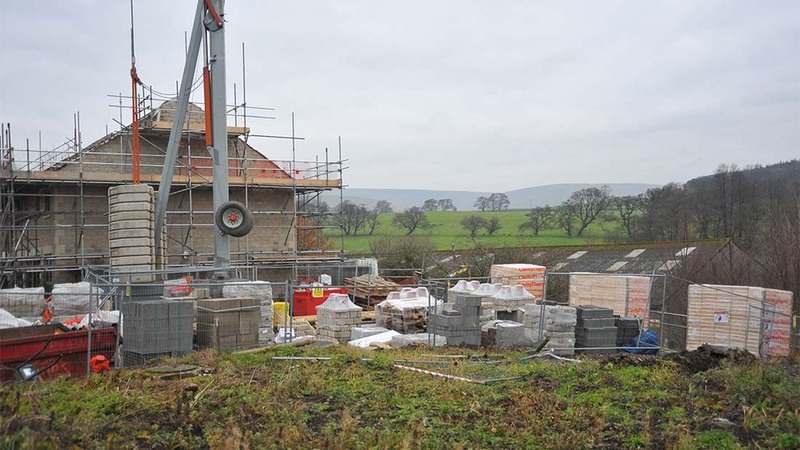 Does answer to countryside housing crisis lie on rural estates?